JewishGuam.com serving the Micronesia Islands and Guam Jewish Community. Part of Chabad of Hawaii. Please provide us with your address via email so we can send you delicious Hand Made Matzo for this Passover. I would like to wish you and yours a Happy Purim. (lubavitch.com) For the last few years of his life, actor Tony Curtis enjoyed a close relationship with Rabbi Mendy Harlig at Chabad Green Valley, in Henderson, NV, where he lived. The famous film star passed away on September 29 at the age of 85. Rabbi Mendy first met Tony Curtis after receiving a call from his daughter Allegra Curtis. She felt that it would be good for her father to have some spirituality in his life. Both New York Jews, the actor and the rabbi quickly developed a great rapport. “Tony shared a lot about his childhood with me,” Rabbi Mendy recalled. “He told me much about growing up in poverty, the many challenges that he faced, and how he set out to overcome them.” Mr. Curtis also shared his paintings with Rabbi Mendy and gave him an autograhped copy of his book, American Prince, with his own drawing of a mezuzah alongside the inscription. Rabbi Mendy’s five children sometimes accompanied him on his visits. “Tony always welcomed my children. 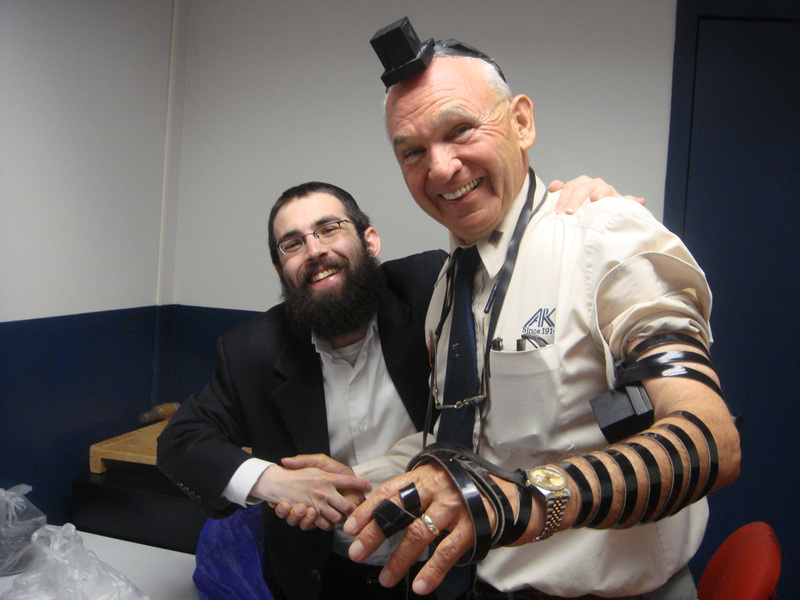 They made him laugh and he made them laugh,” said the rabbi. Over the years Rabbi Mendy visited Mr. Curtis at his home many times, delivering honeycake, shaloch manos, matzah. And sometimes, just to chat. Two years ago, Chabad of Green Valley honored Mr. Curtis with the lighting of the menorah at its public Chanukah ceremony at The District at Green Valley Ranch Hotel. Over five hundred people were delighted at the opportunity to get up close and personal with the beloved star, and he was equally happy to express his Jewish pride at the event. Although it was difficult for him to get around, when the time came to get up on the stage and light menorah, he refused any help that was offered to him. 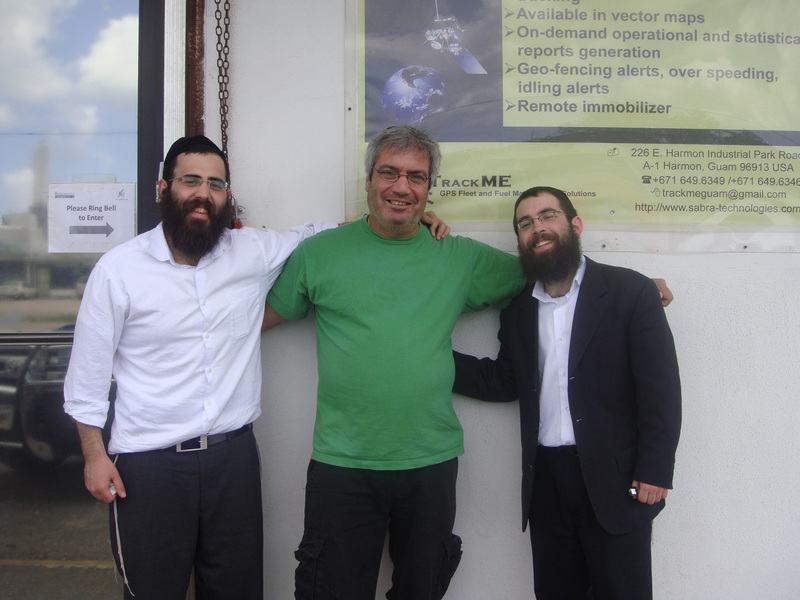 On October 4, 2010 Rabbi Mendy attended Tony’s funeral, staying behind after the burial to help in filling the grave with earth. “We will sorely miss Tony. He was a proud Jew, a wonderful person and a great friend. Yom Kippur is the holiest day of the year--the day on which we are closest to G‑d and to the quintessence of our own souls. It is the Day of Atonement -- "For on this day He will forgive you, to purify you, that you be cleansed from all your sins before G‑d" (Leviticus 16:30). For twenty-six hours--from several minutes before sunset on Tishrei 9 to after night fall on Tishrei 10--we "afflict our souls": we abstain from food and drink, do not wash or anoint our bodies, do not wear leather footwear, and abstain from marital relations. Before Yom Kippur we request and receive honey cake, in acknowledgement that we are all recipients in G-d's world and in prayerful hope for a sweet and abundant year; eat a festive meal, and give extra charity. Late afternoon we eat the pre-fast meal, following which we bless our children, light a memorial candle as well as the holiday candles, and go to the synagogue for Kol Nidrei services. In the course of Yom Kippur we hold five prayer services: Maariv, with its solemn Kol Nidrei service, on the eve of Yom Kippur; Shacharit--the morning prayer; Musaf, which includes a detailed account of the Yom Kippur Temple service; Minchah, which includes the reading of the Book of Jonah; and Ne'illah, the "closing of the gates" service at sunset. We say the Al Chet confession of sins eight times in the course of Yom Kippur, and recite Psalms every available moment. 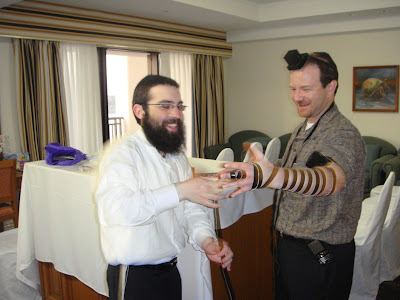 Rubashkin - Why should you care? 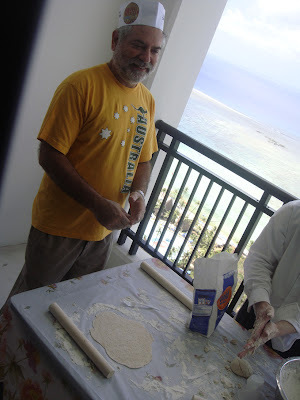 My Plea to the Jewish community of Guam! I don't like to get involved in such matters as this but seeing what is happening to a Jewish man who has a family and is being treated the way he is for a crime that none has ever gotten punished this harshly before, It is my duty to send you this email. 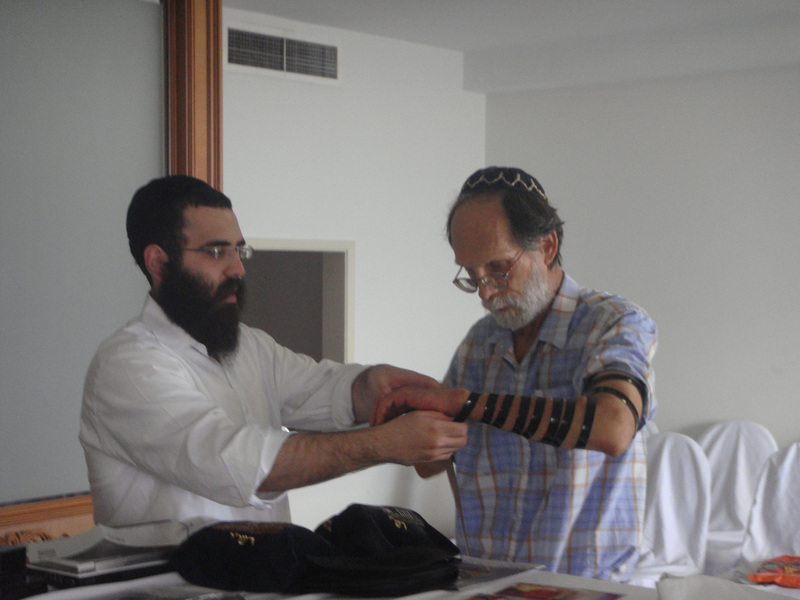 Now he needs our help, the Jewish communities around the world. Please if you can take 2 minutes of your time and please write a letter and sign the petition for Rabbi Sholom it will show the great unity of the Jewish people. Below is letter from the Jewish Leaders. With the hope and prayer for only good news. Supporters of Sholom Rubashkin are being urged to sign an online petition at the “Justice for Sholom Mordechai Rubashkin” Web page at justiceforsholom.organd call or e-mail Department of Justice Office of Intergovernmental and Public Liaison (202-514-3465 ; oipl@usdoj.gov and cc pr@justiceforsholom.org), to protest the recommendations of life in prison for Sholom Rubashkin. 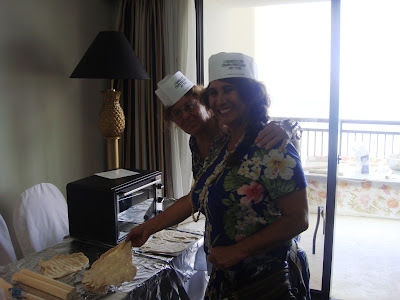 Two rabbis sponsored by the Chabad of Hawaii are going to ensure Jews on Guam don't pass the chance to celebrate Passover in the traditional way. This year, Guam will be hosting a Passover Seder. Passover is the time when Jews celebrate their ancestors' miraculous freedom from slavery in Egypt, said Rabbi Levi Groner. 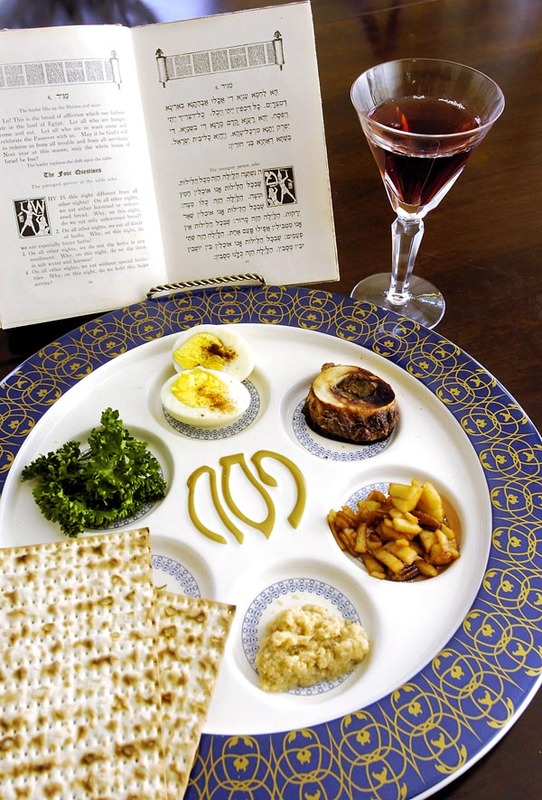 Jews typically gather together with family and friends, and in the course of a celebratory meal called a "seder," eat matzah and drink four cups of wine symbolizing freedom, a press release from Groner stated. It is a holiday tradition to eat unleavened bread called matzah, just as the ancient Israelites ate matzah while hastily leaving Egypt. 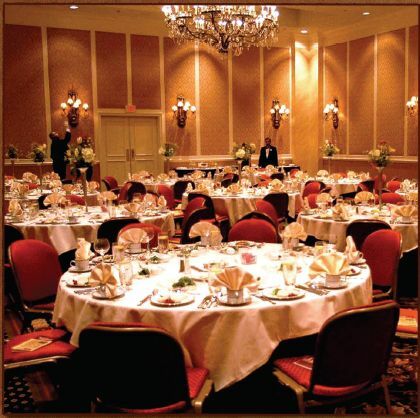 But even for the Jew some thousands of miles away from home, the Seder, one of about 2,000 communal seders around the world being conducted by the Chabad-Lubavitch organization, will be conducted by rabbis Groner and Israel Majeski. 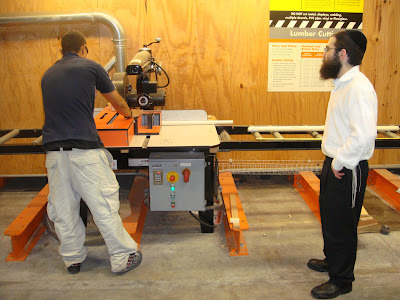 The two are sponsored by Chabad of Hawaii, a branch of the Chabad organization based out of Brooklyn, New York. "Everyone is welcome to the seder," says Groner, 24, of Melbourne, Australia. "Passover is a time to leave our own little Egypt, too, to tap into our soul, and that's where we're all united." Majeski, 24, of Brooklyn, will be visiting Guam for a few weeks. 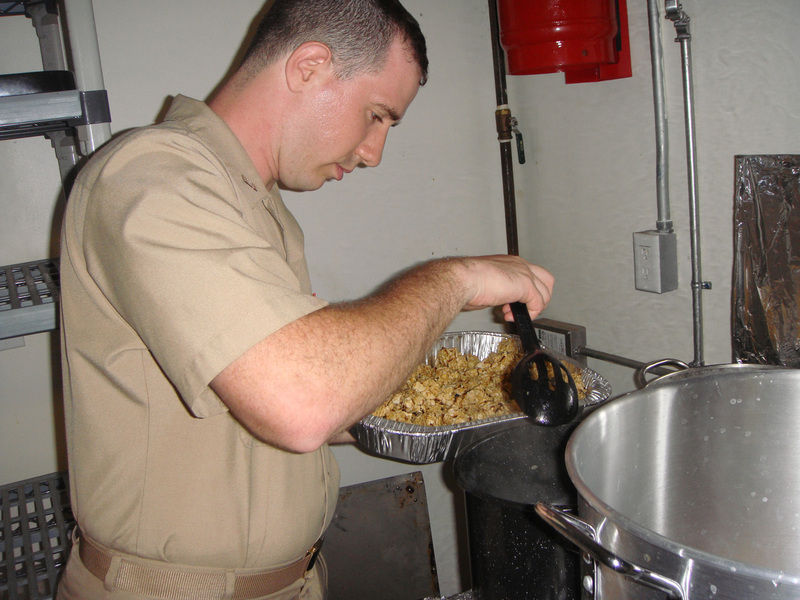 "Besides for Passover items, we're also bringing religious items that Jews on the island can't necessarily get. I'm sure we're also going to be getting a lot of questions, too, but that's what Passover is all about." The four questions that Majeski was referring to are traditionally asked by the children at the seder, who wonder out loud about the curious customs and traditions Passover holds, the release stated. 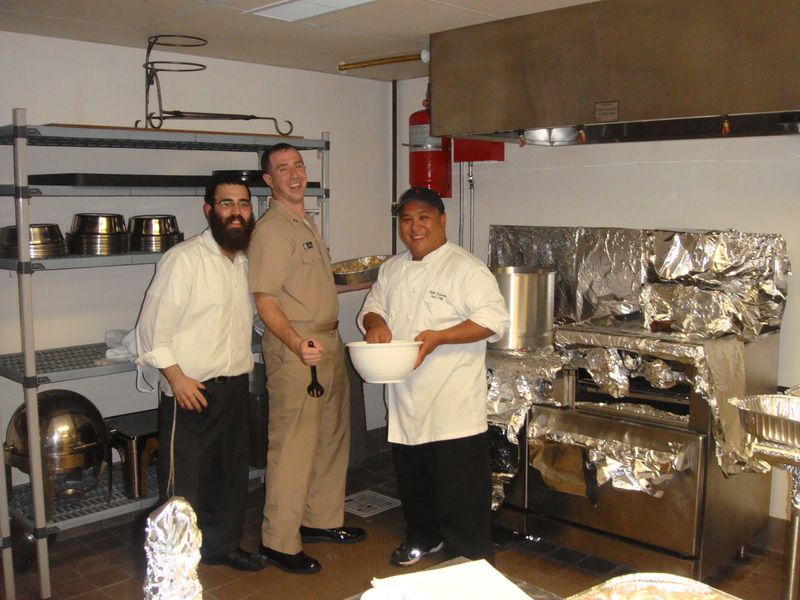 "Our goal is to provide a warm, Passover experience for every Jew in Guam," said Majeski. "We're really looking forward to meeting everyone with a smile." Anyone interested in participating can RSVP or get more information by e-mailing Groner at JewishGuam@gmail.com, or calling 671-838-0914. The event is tonight at 6:30 at Top of the Mar at Nimitz Hill. 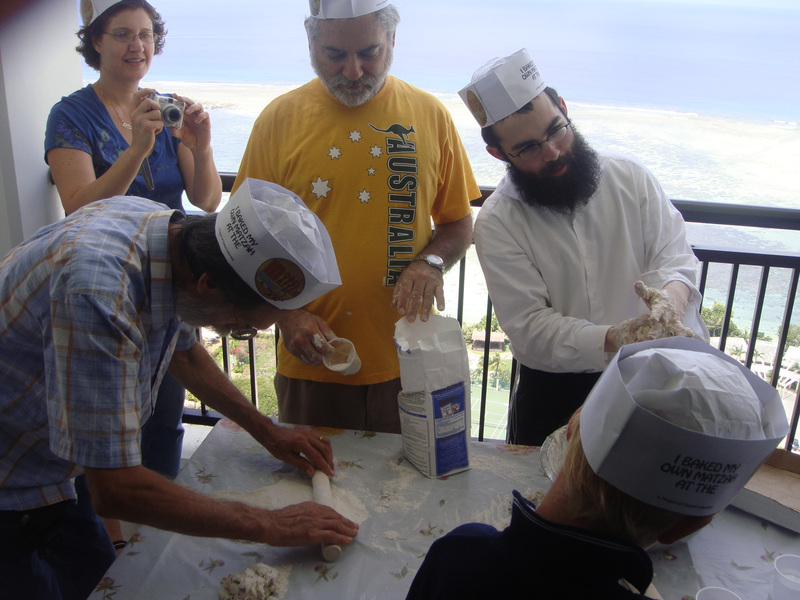 Rabbis from Brooklyn, NY will be visiting Guam this Passover holiday to bring the holiday spirit to the island. They will be hosting the Seder (Passover meal) and visiting Jewish Military and locals on island. More information will be posted once it becomes available. For questions please email JewishGuam@gmail.com. Marblehead - Let’s just get the formalities out of the way: I’m a Reformed Jew, and so is my husband Dave. And so, consequently, are our children. We’re also part of the Chabad community. Sounds like a dichotomy, I know. After all, how could Reformed Jews worship, educate their children and feel connected to a branch of Judaism that’s so steeped in tradition and ultra-Orthodox? It’s easier than you think. Yes, it’s absolutely true that the Chabad movement is a branch of Judaism that adheres to a relatively strict interpretation and application of the Torah and its laws. So if you had told us seven years ago that our daughter would be bat mitzvahed at Chabad, we would have laughed in your face. We’re Reformed and Chabad is Orthodox. Apples and oranges. Theoretically, yes. Empirically, no. Despite the way we observe and practice, all Jews, in our own way, subscribe to the Ten Commandments. You know: Do unto others, honor thy father and mother, you shall not steal or murder. The basics. We all just adhere to those law and traditions differently. The fact is, Dave and I are far more spiritual than we are religious. We understand the core beliefs that make us Jews and we choose to practice and express them in our own way. We’ve educated our children and carried on Jewish practices and traditions in a way that suits us and our family. And we’re definitely, in every sense of the term, Reformed. So when we started looking into Hebrew schools for our kids, Chabad wasn’t even on the radar because of this underlying misconception that you have to be Hasidic to be affiliated. Wrong, wrong, wrong. We learned, almost immediately (through a friend who was, and still is, affiliated with Chabad), that the Hebrew school and the shul are mutually exclusive. You don’t have to be “members” of Chabad to enroll your children in the Hebrew school. 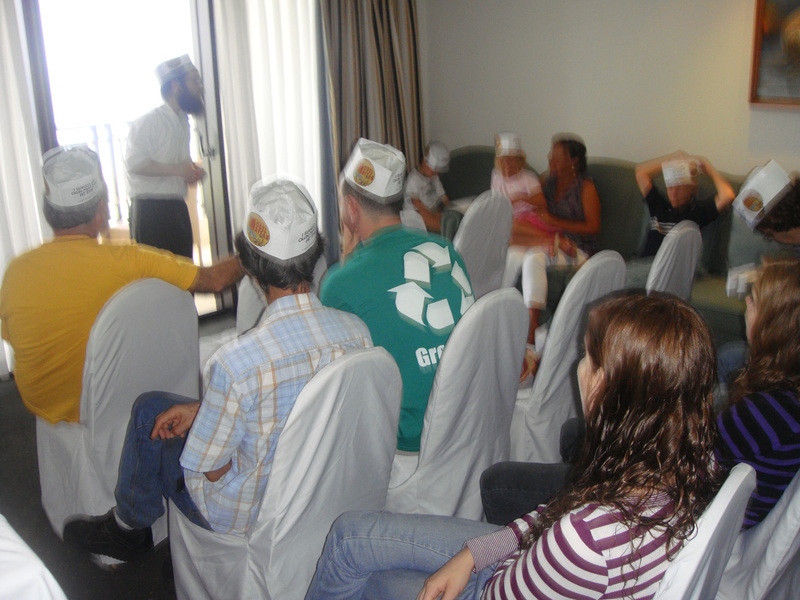 We also learned, through the same friend, that children actually love going to Hebrew school at Chabad. They learn, they’re engaged, they’re challenged, and they’re embraced. Sold. So we enrolled our then-6-year-old daughter in Hebrew school and never looked back. Three years later, we did the same with our youngest daughter. And in the seven years that our children have studied at Chabad, they never once balked at going to Hebrew school. Our children were welcomed and nurtured and have thrived as a result. We actually just celebrated our daughter Riley’s bat mitzvah at Chabad with an intimate and uniquely beautiful Shabbat service followed by a Havdalah service that we tailored specifically to our family and the way we observe. Rabbi Yossi Lipsker and his wife Layah (the director of the Hebrew school) helped us make to make it traditional, modern and, most importantly, meaningful. Yet never once was there an expectation that we “join” the shul or alter our family’s belief system. 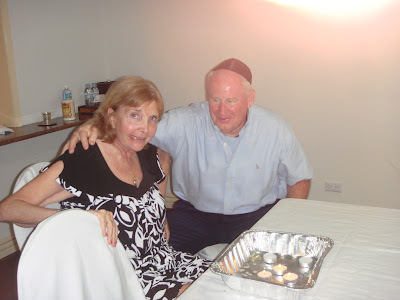 Yossi and Layah genuinely and unconditionally accepted our family and the degree to which we practice. Even though they are devoutly Orthodox, Yossi and Layah received us openly and fully. I have to be totally honest when I say I never saw it coming either. As liberal and open-minded as I am, I supposed I still assumed that a belief system that was so vastly different from my own could unconsciously stifle a person’s ability to reach out and fully connect. I was probably as naïve as most people are when they come in contact with something or someone different — we assume that just because there are surface differences it will be challenging to fully mesh. Maybe it’s that unconscious notion that many Reformed Jews have: that we won’t be perceived as “real” Jews by more pious branches because we’re not as devout. Who knows? What I do know is that even though Dave and I don’t attend the High Holiday services we’ve found other ways to feel connected to Chabad as a place of worship. And Yossi and Layah have gone out of their way to offer us creative ways to feel connected to their shul. Our kids attend Hebrew school, holiday parties and youth groups. And now, we’ve taken part in a Family High Holiday Service on Sunday afternoon, Sept. 20 that the Lipskers created specifically to accommodate families like ours who want to connect to the shul in a deeper way than just through Hebrew school. 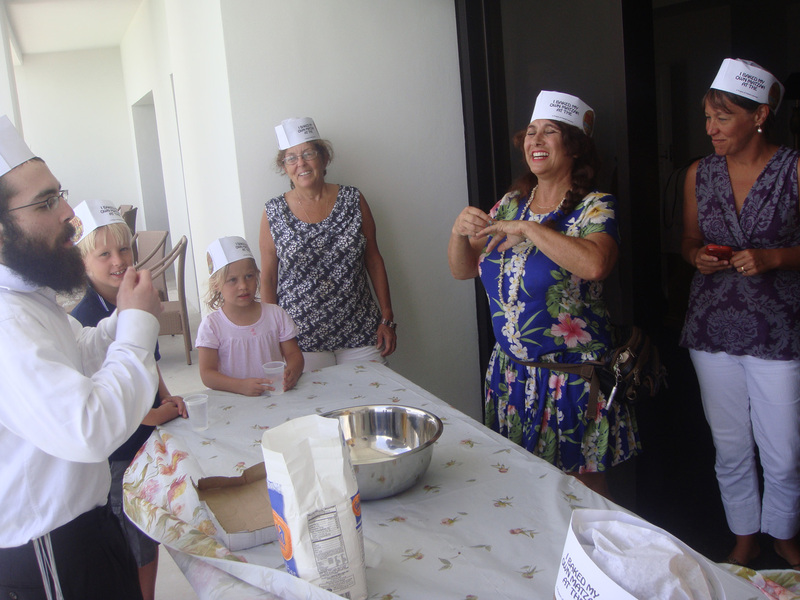 There was another Family High Holiday Service at Chabad for Yom Kippur Monday, Sept. 28. Bottom line is, we were caught completely and wonderfully off guard at how uniquely and satisfyingly we fit in to the Chabad community. Even more importantly, we consider Yossi and Layah (and their children) close friends. We have a mutual respect and a genuine fondness for each other that transcends the kind of Jews we are. Without even trying, the Lipskers draw you in simply because of who they are. And whoever you are and however you practice they have a place for you. Lisa Sugarman and her family are Marblehead residents. 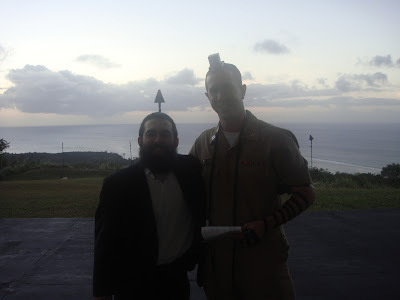 16-year-old Ethan Berg never imagined he would celebrate his bar mitzvah with two New York rabbis inside the walls of a military chapel on Guam. "It was very meaningful. I've never had that. Interesting experience. It was so beautiful," he said. A local chapel was dedicated to members of Jewish faith by the US Navy and the Air Force in 1976. Now the two Rabbis that are here today from Brooklyn, New York are hoping to infuse some fire and a little spark into the Jewish community on base locally. "In many places you see a rabbi every week, maybe even daily, but here when you have a rabbi once twice maybe three times a year, everybody comes out. People come out of the woodwork for this because it's so big," said LTJG Greg Touchton. 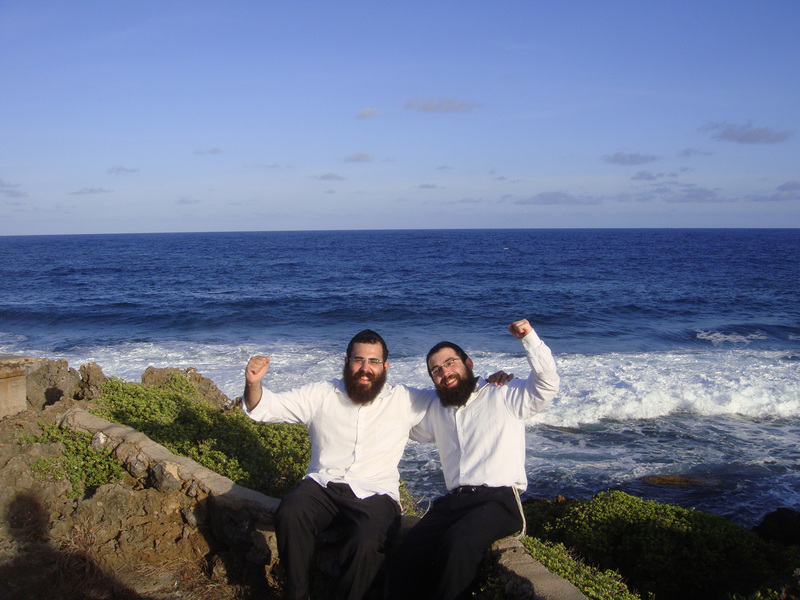 Rabbi Chesky Klein and Rabbi David Loksen represent the more orthodox sect of the Jewish faith, known, as the Chabad Movement, visibly distinguished by dark suits and long beards. During their three-week visit as emissaries to Guam where there is no permanent rabbi, the two rabbis hope to promote Judaism all over the island. 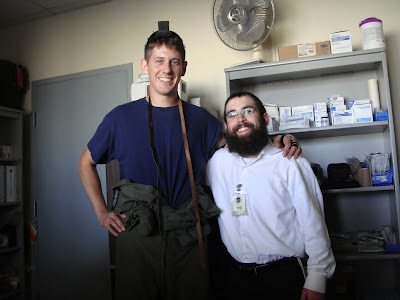 Klein said, "Chabad actually has a branch, which sends out young rabbis over the summer time and that sends Jewish people into far off communities for just a short period of time in order to bring Judaism to everyone. We are part of this program. We've been sent to Guam." 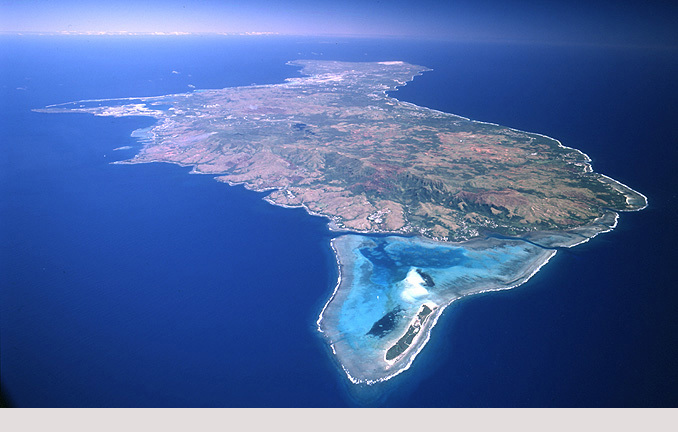 Although Guam boasts a small community of approximately 150 Jews on the island, the military reports that there are fifty practicing Jews currently serving here on Guam. The rabbis have made their presence known by holding events on and off the base and encourage all denominations to come to them with any questions. Said Loksen, "The doors are always open. They are always welcome. Please whoever is out there in Guam or whatever it may be, please if you see us passing on the street, just wave and say hello or say 'Hey rabbi, can I ask you a few questions?'" From performing mazuza ceremonies to various blessings like wrapping the tifilin and holding a ceremonial bar mitzvah for those of age, the rabbis hope to help the Jewish community in Guam keep the faith. Two young Chabad-Lubavitch rabbis are visiting Guam from July 28 to Aug. 17 as part of a community outreach program. Rabbis Chesky Klein and David Loksen will be distributing videos, brochures, books, Shabbat candles, mezuzahs (a religious scroll placed on doorways) and will be working closely with the local Jewish community, according to a news release. 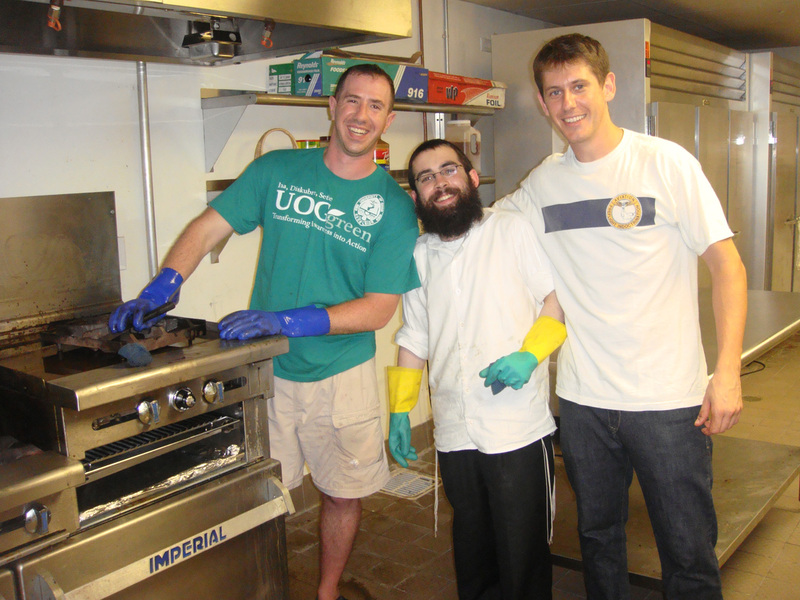 The pair will teach classes, including one on Kabbalah, and host Shabbat dinners. The two rabbis are part of a worldwide program sometimes referred to as “the Lubavitch Summer Peace Corps,” in which some 400 young rabbis and senior rabbinical students visit thousands of locations worldwide, including countries like Bolivia, Bosnia, Cambodia, Croatia, Fiji, Guadeloupe, Ireland, Portugal, Sri Lanka and Uruguay. 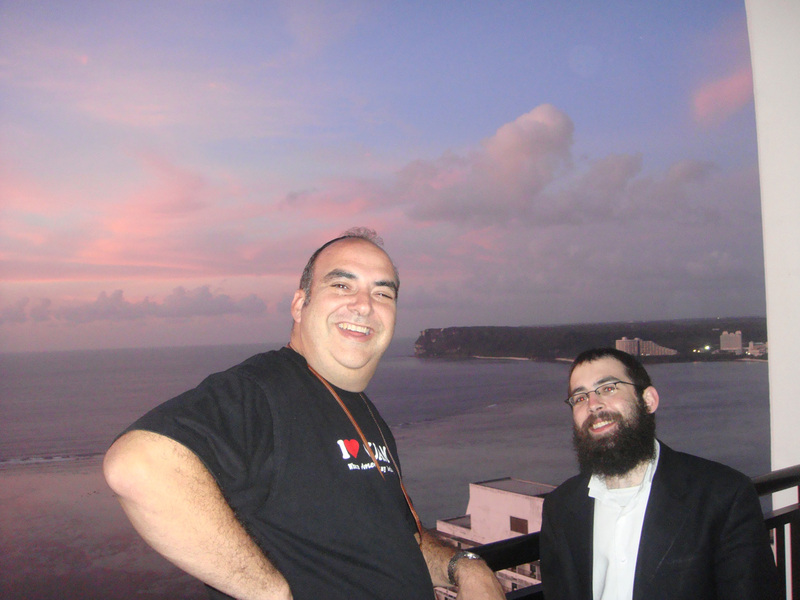 The Guam Jewish community is receiving a visit from two rabbis. 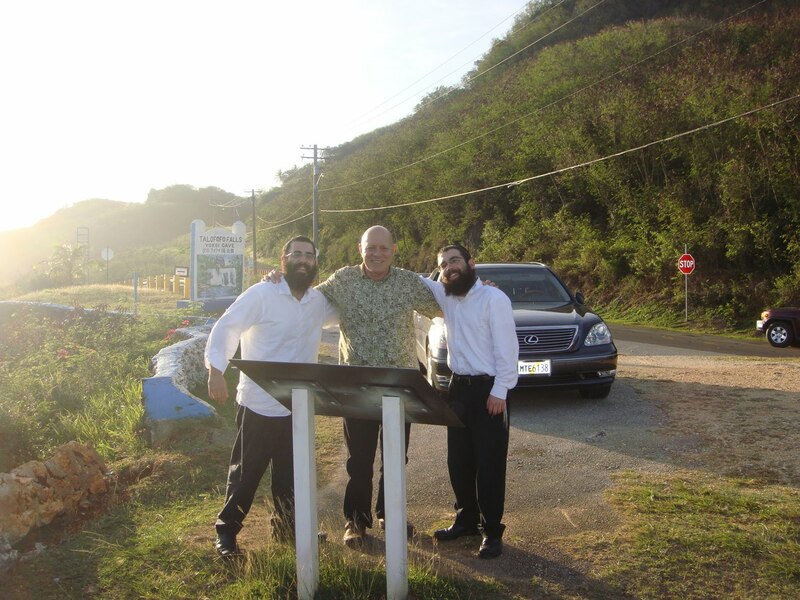 Rabbi David Loksen and Rabbi Shmulie Hecht, of the Brooklyn, New York-based Chabad Lubavitch Jewish Community Enrichment Program, are currently volunteers with Chabad Hawaii, which sponsored their visit to the island. Rabbi Loksen said the goal of the organization is to reach out to Jewish communities across the globe. The rabbis arrived July 22 and will be leaving Aug. 12. Loksen said the rabbis have been doing house visits so far. 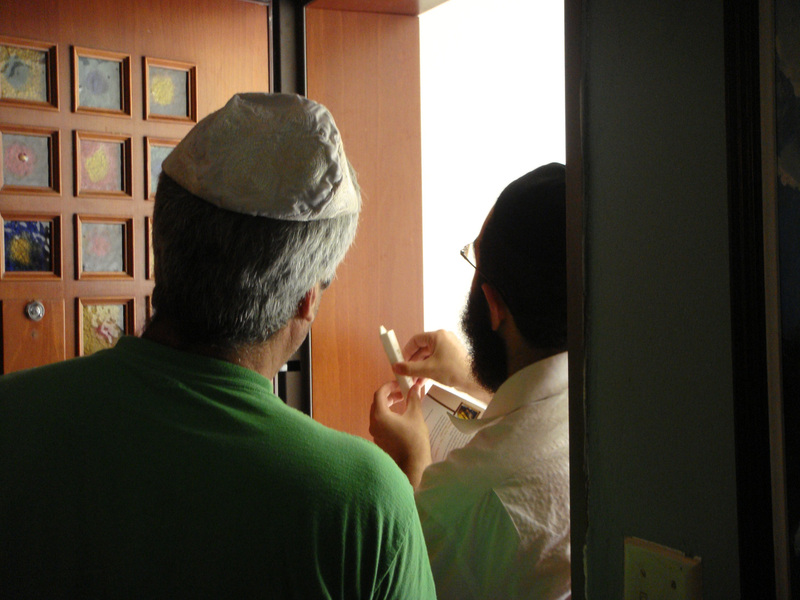 “We've been putting up mezuzahs, what you call a 'Jewish security system,'” he said. 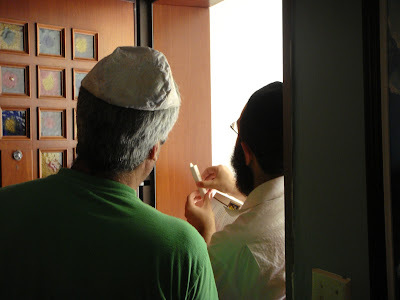 A mezuzah is a scroll placed on the door frame of a home containing verses from the Old Testament. The article serves as a reminder of the lamb's blood Jews in ancient Egypt used to mark their doors for protection. “There's been a lot of discussion, a lot of shmoozing,” said Hecht. The rabbis held a Sabbath service Friday at the Pacific Islands Club Resort. Dr. Joel Joseph, a Jewish community leader on Guam, said there are currently no rabbis on island to tend to the needs of the Jewish community. “Hopefully, we're going to have a naming ceremony or two,” said Joseph, who said the ceremonies entail religious services relating to newborn children. 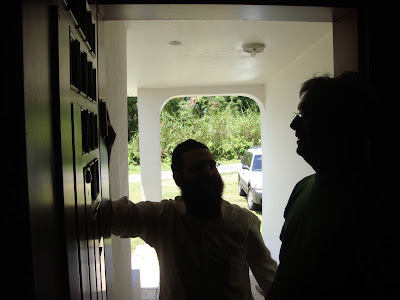 With no resident rabbis on island, Joseph said he's acted as a community stand-in since his arrival. Our beautiful Synagogue in Guam! We would like to thanks Bart Jackson ad the PIC hotel for the beautiful Shul that we had and for everything else he did for us!